The 1992 LA race riots and the name Rodney King are almost synonymous. It's understood that the violence was sparked when four of the CHP officers in King's case were acquitted of assault. But several targets in the rioting were Korea-American owned shops for a very specific reason. "I was at a book signing," says UCLA professor Brenda Stevenson, "And there was a young man who talked about being from South Central Los Angeles and he said, bravely, that, 'I went to Koreatown to burn it because of Latasha Harlins.'" Stevenson explores Harlins' death on March 16, 1991, for her new book, "The Contested Murder of Latasha Harlins." 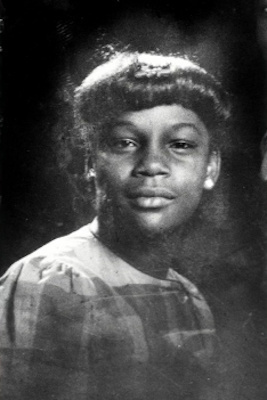 Harlins was a 15-year-old African-American girl living with her grandmother in South Central. On that day — less than two weeks after King was beaten — she walked into the Empire Liquor Market on South Figueroa Street. She grabbed orange juice from the refrigerator and placed it in her bag, $2 in her hands to pay for it. However, the store's owner, Korean-American Soon Ja Du, believed that Harlins was stealing the juice. A scuffle ensued at the register when Du tried to pull Harlins' bag across the counter. Meanwhile, Harlins fought back, knocking the then-51-year-old woman down. Harlins took the orange juice out of her bag and put it back on the counter, and then turned to leave. However, Du picked herself off from the ground with a handgun from the counter, shooting Harlins in the back of the head from three feet away. Harlins died with that $2 in her left hand. The case exacerbated an already tense relationship between Korean-Americans and African-Americans in the community. "From the perspective of Soon Ja Du and her family, they had a lot of trouble with some gang members in the neighborhood," says Stevenson. Harlins was not known to be a part of a gang. "From the perspective of the community, however, they had not been very good shopkeepers. They were known to be rude and dismissive of customers," said Stevenson. Du was tried and convicted of voluntary manslaughter. However, while the charge carried 16 years in prison, the judge opted to sentence her to five years probation, 400 hours of community service, and a $500 fine. The sentence outraged members of the community, and over the course of a year Du's store was firebombed twice. Then on April 29, 1992, when the verdict in the case against the officer's in Rodney King's beating was announced, rioting started in South Central LA, but also Koreatown. "I think [Latasha Harlins' death] is why 2,300 Korean shops are burned and damaged," says Stevenson. But as the riots' anniversaries come and go, they're more associated with the verdict in King's case rather than Harlins' death. "The Rodney King case received so much more attention because it was conflict males. We just got into that tradition of looking at racial conflict in that way," said Stevenson. "Just looking at the Trayvon Martin case, for example, that was a typical scenario of a male who's biracial but part white, and an African-American. That resonated with people's sense of racial injustice." By reinvestigating Harlins' death, Stevenson hopes to give her story new life and help LA to learn the background of race relations in the city. "I want people to understand that African-American youths can be victims, that they're not always the aggressors." LAT: "A messy L.A. history"
LAT: "In South L.A., a bitter case of mistaken identity"
Where do Bob Filner's border efforts stand in wake of his resignation? After 20 years of metal detectors, are LAUSD schools safer?